The festive holiday season is upon us and we are loving the change of pace. First comes corn stalks, apple picking and pumpkins then comes the costume parades, Halloween parties and trick or treating. While your littles are busy planning their "day of transformation" or disguise as my littles like to say, a bit of focus seems to have shifted away from the oodles of candy collection of yesteryear. I remember sitting at my kitchen table with my siblings sorting more candy than our three little mouths could ever chew. But it was always more about the collect than actually eating the candy, am I right? First we have introduced the cute little Switch Witch to our Halloween festivities. She perches on a nearby shelf and takes in the scene, deciding whether or not she&apos;ll make the "switch." She&apos;ll take the kiddos candy and leave little trinkets in its place. 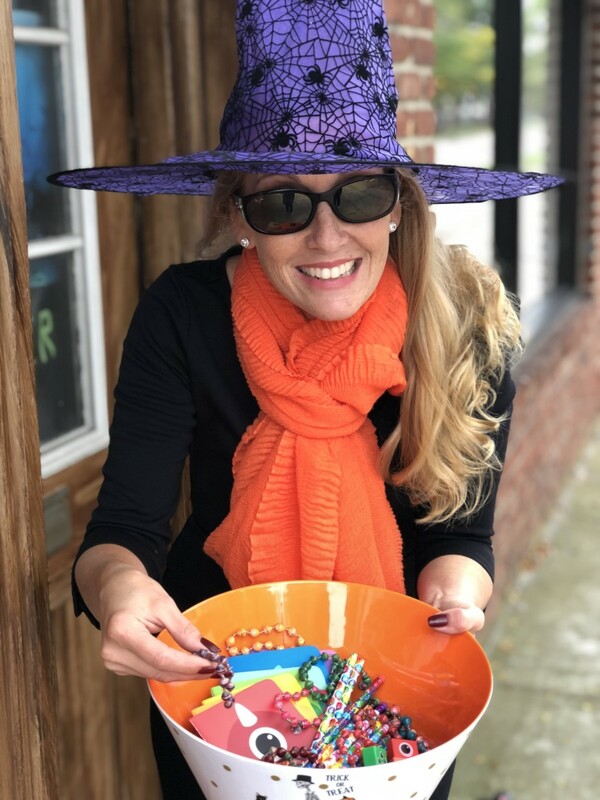 While some may see this as another ploy to get the best behavior out of the kids, our Switch Witch, Glinda, simply adds to the festive nature of the season by bringing joy and upping the ante of magic. Kiddos on their best behavior, less candy to deal with? It&apos;s a win-win trend from where I stand. 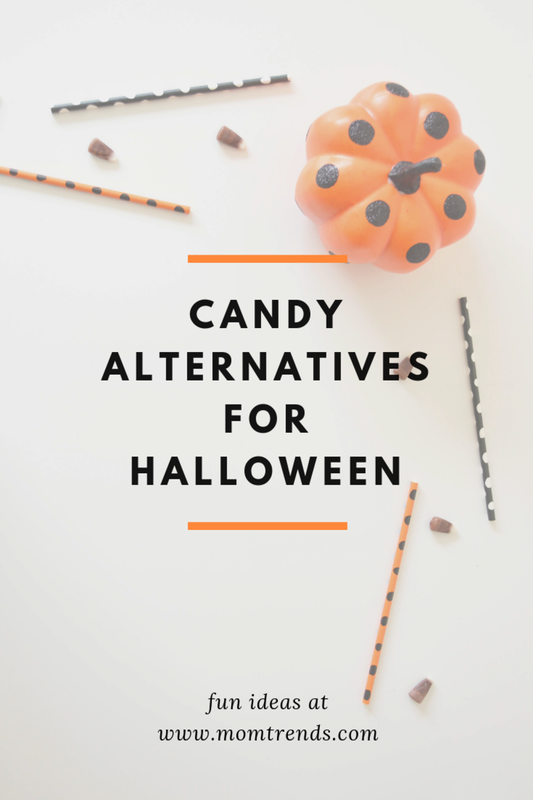 Want less candy and want to extend the season of giving? We are so excited to pass out these Sanyu Bracelets from Beads of Life. 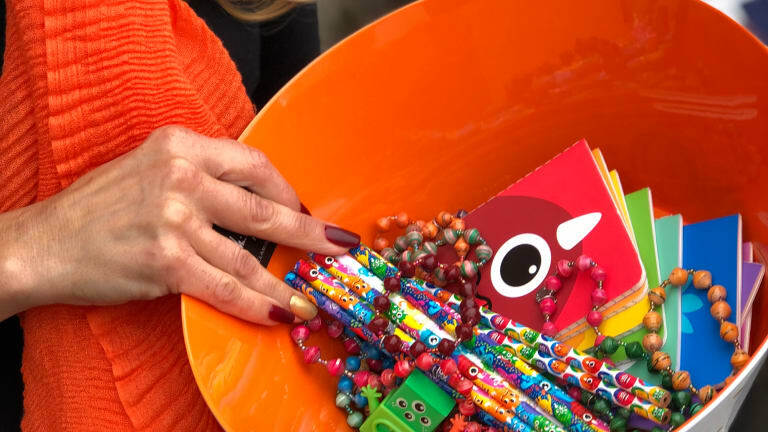 By giving BeadforLife on Halloween, you’re giving a symbol of African moms working hard to earn income, feed their families and send their children to school. Not only do we love less sugar, but we love the message behind each and every bead. Read more about the Bead for Life mission HERE. We support women building up women; it&apos;s what we do best. Give a real treat this Halloween with a beautiful, memorable beaded gift. Another giving option that lessens the candy load is from OOLY. We love OOLY for their unique and eye-catching designs for the most school-work worthy supplies. But did you know that OOLY gives back to those in need? They work with AdoptAClassroom, and help to empower teachers by providing the supplies and materials needed to help their students learn and succeed. So stocking up on good treats like monster erasers, and pencils or these adorably irresistible notepads mean less trips to the dentist chair and more time spent creating for every child. Happy Halloween! Need recipe inspiration? Try our yummy apple slow-cooker recipes and if you want to deck out the porch, try these tips. This is not a sponsored post. Samples were received and this post contains affiliate links.